The conference included talks by various notable Flat Earth conspiracy theorists, some lovingly titled with things like “NASA and other Space Lies” and "Waking Up to Mainstream Science Lies". Tickets to attend ranged from $109 up to $249. Now, controversial opinion alert, but while Earth is obviously not flat, I don’t necessarily bemoan these people for meeting up. Everyone likes to feel like they belong, right? In the BBC video below, for example, one of the attendees just said he wanted to meet other like-minded people. I’d rather they had a different hobby, true, but some people feel alone, and just need others to talk to. 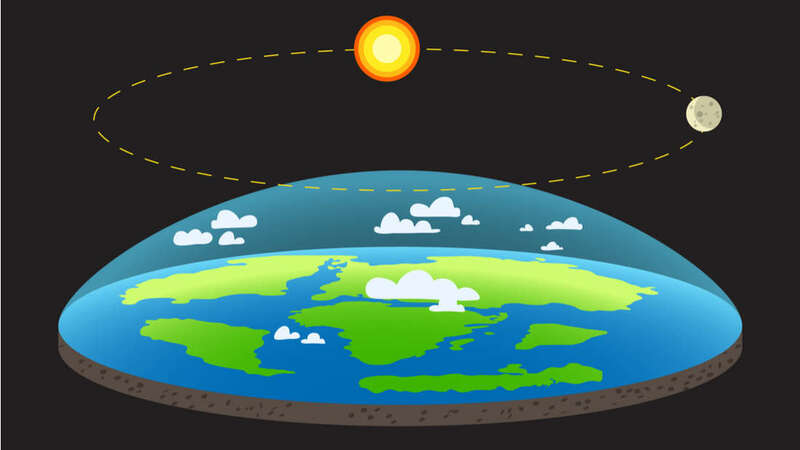 That being said, it would be nice if this flat Earth thing stayed kinda confined to small events like this. In recent times we’ve had basketball players and musicians speak out in favor of it, which you know, isn’t great. The event this year appears to have been a lot more popular than previous years.And then you get to some of the videos from some of the talks, which are just downright crazy. To highlight one, below is a Q&A (nod to Patheos for picking this up) from the prominent flat-Earther and YouTuber Mark Sargent. It’s weird. If you don’t want to watch the whole thing, here are some highlights. At 12 minutes in he answers a question about getting the Flat Earth theory into schools.